Large energy consumers such as chemical and aluminium producers, ICT and food & drink companies gathered in Brussels today with renewable energy producers to consider how to unlock this potential. 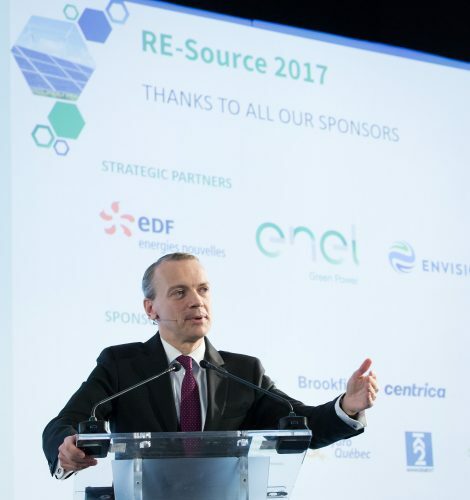 The RE-Source 2017 event brought together industry leaders such as Google, Mars, IKEA and Alcoa with energy players EDF Energies Nouvelles, ENEL Green Power, Envision and Vestas with policy makers. The volume of ’Corporate Renewable Power Purchase Agreements’ (PPAs) – which allow companies to purchase renewable energy directly from an energy generator – almost tripled in Europe in 2016, with over 1 GW of capacity contracted. Globally, more than 100 top companies have now committed to procure 100% renewable elegctricity via the RE100 initiative,together accounting for 150 TWh of yearly consumption.